Questions appear to being asked in VC circles about sky-high Software-as-a-Service company valuations – including one suggestion i’ve seen that it should be based on customer acquisition cost (something I think is insane – acquisition costs are far higher than i’d ever feel comfortable with at the moment). One lead article is this one from Andreessen Horowitz (A16Z) – which followed similar content as that presented on their podcast last week. There are a couple of observations here. 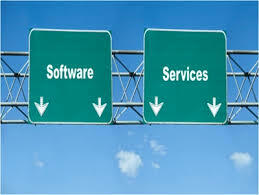 One is that they have the ‘normal’ Enterprise software business model misrepresented. If a new license costs $1000, then subsequent years maintenance is typically in the 20-23% of license cost range; the average life of a licensed product is reckoned to be around 5 years. My own analogue for a business ticking along nicely was having license revenue from new licenses, and support revenue from maintenance (ie: 20% of license cost, for 5 years) around balanced. Traditionally, all profit is on the support revenue; most large scale enterprise software vendors, in my experience, assume that the license cost (less the first year maintenance revenue) represents cost of sales. That’s why CA, IBM and Oracle salespeople drive around in nice cars. You will also find vendors routinely increasing maintenance costs by the retail price index as well. The other characteristic, for SaaS companies with a “money in this financial year” mindset, is how important it is to garner as many sales as is humanly possible at the start of a year; a sale made in month 1 will give you 12 months of income in the current financial year, whereas the same sale in month 12 will put only 1 months revenue in the current fiscal. That said, you can normally see the benefits scheduled to arrive by looking at the deferred revenue on the income statement. Done correctly, the cost of sales of a SaaS vendor should be markedly less than that of a licensed software vendor. Largely due to an ability to run free trials (at virtual zero marginal cost) and to allow customers to design in an SaaS product as part of a feasibility study – and to provision immediately if it suits the business need. The same is true of open source software; you don’t pay until you need support turned on for a production application. There is also a single minded focus to minimise churn. I know when I was running the Individual Customer Unit at Demon (responsible for all Consumer and SME connectivity sales), I donated £68,000 of the marketing budget one month to pay for software that measured the performance of the connectivity customers experienced – from their end. Hence statistics on all connectivity issues were fed back next time a successful connection was made, and as an aggregate over several 10’s of 1000’s of customers, we could isolate and remove root causes – and hence improve the customer experience. There really is no point wasting marketing spend on a service that doesn’t do a great job for it’s existing users, long before you even consider chasing recruitment of new ones. The cost per customer acquired was £30 each, or £20 nett of churn, for customers who were spending £120/year for our service. The more interesting development is if someone can finally break the assumption that to sell Enterprise software, you need to waste so much on customer acquisition costs. That’s a rubber price book and golf course game, and I think the future trend to use of Public Cloud Services – when costs will go over a cliff and way down from todays levels – will be it’s death. Instead, much greater focus on customer satisfaction at all times, which is really what it should have been all the way along. Having been doing my AWS Accreditations today, I have plenty of ideas to simplify things out to fire up adoption in Enterprise clients. Big potential there. A long time ago, Microsoft turned up at several ISPs doors with a distribution of their latest browser, Internet Explorer 6. Around a week later, CDs of a completely customised version of Demon’s trial experience landed on over 180,000 customers desks. The speed at which every team executed was phenomenal (even leading to complaints from BT that we must have been given an unfair advantage; we hadn’t). A key part of this execution being the web team then led by Sylvia Spruck Wrigley. Since the time we both worked there, she’s learnt to fly, runs her “Fear of Landing” blog and has written another book (Why Planes Crash: 2001 ) that catalogued several air accidents. I’ve forwarded this news (of the book that is!) to various people in the USA who have been left practically crawling up the wall with the many hours of otherwise content-free coverage of MH370 on CNN. I hope this will provide them with some much needed escape from that monotony! In this age of constant surveillance, it shouldn’t be possible to lose a Boeing 777 carrying 239 passengers. It’s inconceivable that the aircraft flew for seven hours without anyone noticing that it was up there, completely off track. Yet, that’s exactly what happened. Sylvia Wrigley, pilot and aviation expert, explores the possibilities in the pages of The Mystery of Malaysia Airlines Flight 370. 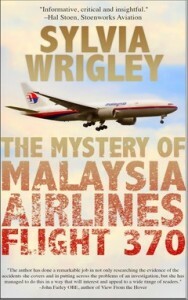 Wrigley is a pilot and aviation writer who has been obsessing about aviation safety for ten years. You can buy your copy of the book (as I have) from several places via Sylvia’s own link here. 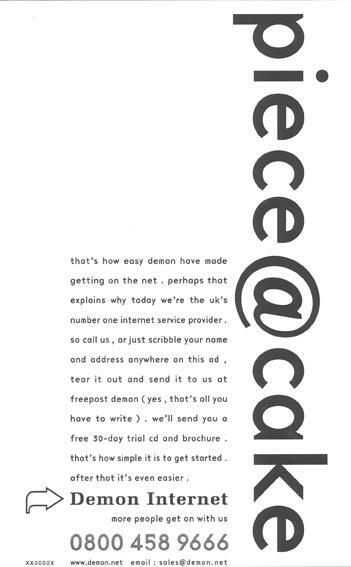 An example advert from the time I led the Marketing Services Team at Demon Internet. It was a dumb sounding advert, but it pulled response like crazy. Some of the responses we received back in the mail (asking for trial CDs) contained nice poems, so it appeared to strike a healthy connection. 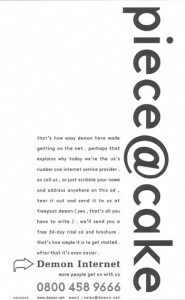 When we first entertained bids for a new agency, we had super looking, consistent, nicely branded advert samples from one company, and these tongue in cheek worded ones from another. Cliff Stanford (owner of Demon Internet) liked the worded ones, while I thought he was nuts – but he agreed to do some tests to see who was correct. 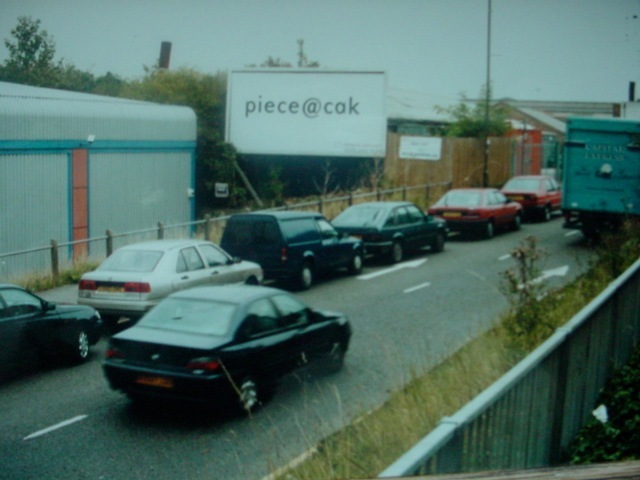 He was absolutely right; the worded ads pulled much more effectively. Lesson learnt! The Valentines Day Advert was done in a rush a week before, and Les Hewitt (media buyer extraordinaire) got it in most target newspapers near the back. Once in, he phoned them hourly to twist their arm relentlessly, getting it shifted page by page towards the front. The advert made it to the dating page on Valentines Day in the Times I believe, where we got fantastic response levels. We had them paste the ‘e’ panel back on the next day. Average cost to land a £10/month paying customer was £30, around 1/6 that of competitive ISPs at the time (this was 1998-9). We tested everything, and knew what the landed cost of a customer was for every ad we placed. Even knew which ones gave us high response and then heavy churn 3 months later (waves hello to the Sun and Mirror). The most effective medium one of my folks tried gave us acquisition costs of £4 per landed customer, but many odd ball complaints. But that’s another story, and described near the end of an older post here. Class work, well executed and full of personality. In my humble opinion, of course.